Airbus has started marketing a long-range, higher gross weight version of the A321neo that it says will have 100nm more range than the Boeing 757-200W used on long range, trans-Atlantic routes, Leeham News and Comment has confirmed. We learned three weeks ago Airbus was working on what we will call the A321neoLR (Long Range); Airbus doesn’t yet have a name for it, but began showing the details to airlines a week ago. The airplane is a higher gross weight aircraft, at 97 tonnes, and will have three auxiliary fuel tanks. With most long-range 757 configurations around 169 seats (United Airlines), the A321neoLR will have 164 seats, a slight loss, with 20 lie-flat business seats and the remainder in coach configuration. Our analysis, which will be detailed in a Subscription post this week, comes very close to the Airbus specification. Kiran Rao, EVP sales and marketing for Airbus. Photo: Airbus. Kiran Rao, EVP sales and marketing for Airbus, confirmed the new model today. He said the A321neoLR will have a range of 3,900nm, or about 100nm more than the operational range of the 757W. (Advertised range is 4,100nm.) The additional fuel tanks add 400-500nm to the A321neo’s range, he said. Intended markets are North America-trans-Atlantic, North American to South America, Europe to Africa and SE Asia to Australia. There are about 100 757-200Ws in operation and some 700-800 757s remaining in service. The A321neoLR will have about 27% lower trip costs and 24% lower per seat costs than the 757, Rao told us. Overall, the LR will be about 25% less costly to operate, he said. Entry into service is slated for the second half of 2018, about two years after the standard A321neo. Due to technical differences, the standard A321neo won’t be retrofittable into an LR standard, he said. Helping the A321neoLR is the 2% fuel burn improvement Airbus contracted with Pratt & Whitney for the Geared Turbo Fan engine, which becomes available then. The LR will also be available with the CFM LEAP-1A. We will have our full, detailed economic analysis of the A321neo LR vs the 757 in Part 2 of this three part series this week. Part 1 appeared last week. Congrats to the new look of your side and exciting news from Airbus too! I The long range version of the A 321 is like the missing link in todays aviation chain. Maybe it will introduce a new area of Transatlantic flights from smaller cities on both sides of the big pond(Boston-Düsseldorf). I´m looking forward to watch the development of a new section of intercontinental airtraffic! What kind of changes will Airbus introduce on the LR that are not refittable (just not or not viably not 😉 ? Some Aux tankage should not be an issue. Structural reinforcement could be an issue. Maybe some noteworthy aero changes ? Av Week reports tthat 50% of the A320NEO production is allocated to the A321. I doubt the runway requirements will be the same as the 757. Short fields and hot and high airports will be out. The 757 came out when fuel was not as critical as it is today on airlines bottom line. I don’t think there will ever be a true 757 replacement. That’s just about three tonnes short of the 757-200 (i.e. MTOW of 99,790 kg up to 115,665 kg, depending on the version). Still, an A321neoLR should be able to continue to operate with a MLG that’s using just single bogies (i.e. double bogies probably not required), although there’s sufficient clearance for double bogies in the main gear wheel wells on the A32X-series. They can stick all the fuel tanks they want in it, those wings are too stubby – it’ll have performance issues. Reminds me of the MD-90 saga. The “A321neoLR” would be the right case for this solution. We will see which company has the first folding wing in the air. The problem is the wing. Unless they rewing the aircraft it will not match the performance of the 757. 321s already require step climbs in normal ops, just add more fuel and power won’t make it. The plane needs more lift. The 321 was already an over development of the 320. We should not confuse this very specific mod of the a321neo with a full 757 replacement. as stated in the article, airbus aim at a very specific niche of the 757 routes: long range, trans-atlantic with few seats (a quite attractive niche). of course this a/c will not at all share the 757 field perfo, and the fact that airbus plan to add as much as 3 ACTs to push some 160 pax over the atlantic shows, how squeezy this mission is to the aircraft. clearly, there are some 25% of wing area and thrust missing, to call it a full replacement. nonetheless will this a321neoLR be another nail in the coffin for anyone’s plan to do a new 757 any time soon. first to the market is first to the market, even if the product might be the second or third best you could do to serve the route with todays technologies. I think this was clear since PW upped the GTF to 35k lbs a while ago. There was a reason Airbus moved back the popular A321 in the NEO development order. Winglets, moving around doors, lavatories, upgrading engines, new bins/ interior. The aircraft is launched in stages. And there is some time, smart crewrest, optimized hot galley, IFE headend, ETOPS related mods, embedded Satcom antenna… ? Interesting will be if the wheelloading will stay with margins, if AA will send its Transcon configuration into competing Transatlantic hubs. Question is if Boeing will wait and see, communication they are totally comfortable with where they stand, creating value for its customers, with the best in class 737-9, that continues to attract wide interest.. or slam doors and get the NSA team around the table. We talked about the 35k GTF with Kiran. The A321neoLR doesn’t need the extra 2k thrust in normal ops. The extra 2k is for hot-and-high. If payoad-range rises it will need more runway, lift or thrust for a given flight profile. will that plane be able to do the (then US Airways) requirement of “Phoenix-Hawaii non-stop in both directions with maximum payload under all conditions.”? I will turn this one over to Bjorn to answer. “Phoenix-Hawaii non-stop in both directions with maximum payload under all conditions.” is 2535nm great circle so it should be no problem even with strong westerly winds. The limiting legs are around 3400nm so 2500nm or a bit more should be no problem. All this with the type of cabin and passenger load we talk about here i.e. around 160 pax. I also understand we talk hot and high re Phoenix. On a normal wind situation we have a TOW of around 88t going west, 5t lower then the max for today’s 321ceo, sound like it should be OK to me. Is that capabilities? Can they have enough range? Can they do that? Apart from 3500NM range long flights, the A321 will be able to carry more revenue cargo payload, making better use of its container/ pallet capability on tyical 1000-2000NM flights. Btw, I still can’t believe AC will replace their transcon A321s with smaller, less capable, comfortable 737-9s and dismantle the LD3-45 cargo operation, moving back to bulk.. I too was surprised when Air Canada went “back” to the 737… The only explanation I can imagine is that Boeing undercut Airbus by a significant margin. And taking those 20 E-190s as trade-in might have sealed the deal. Is going to sell 20 E-190? By who? Maybe Delta or United will take E-190. So does this mean they’re going to lower track altitudes to accommodate Atlantic crossings at FL280 westbound??? They will step up altitudes as fuel is burned off. A common practice. Lets be clear on a few things, the 97t MTOW is a max value and will only be used on the most difficult of sectors and when the loadfactor is high. The the A321neoLR will then behave like the 777-300ER, it will start its cruise climb low, below or at FL300 and then step up. What makes the -300ER great is the flexibility to do such legs when needed and then there are restrictions on what airports one use, FL etc. But that is not the normal case, everyday use will be with lower TOWs, the difference is now you can do that long westerly leg on a bad day without a tech stop, the low FL is what you pay with. Bjorn, we’re indebted to you for your apparently informed response, thank you. No mention here of the potential spoke to spoke markets this opens up as a testing alternative to recently introduced & more costly twin aisles. You state let’s be clear & to some degree it is. “apparently informed” response…? That’s a left-handed compliment…I think…. What have you got against us left-handed people, Mr. Hamilton?!? Not a thing. As a lefty myself, I can tell you we are the only people in our right mind. I think it might be referred to as a “Back-handed” compliment-in these PC days…. Now Boeing is in serious trouble. The A320 family will now outsell the 737. What a shame for Boeing. Typical bean counters company, no competitive edge, falls asleep too long after a small success. But on the other hand, I don’t see this neoLR selling like hot cakes, how big is the demand for an aircraft with such capabilities? This is like a quickly put together short term solution. A True 757 replacement should be a clean sheet design. As it is typical of airbus, they will feed the gullibles all sorts of marketing @#$%& to trump up the capabilities of the aircraft. Airbus is already out selling Boeing. Where they are really going to Hurt Boeing is the A321 that is a lot more capable than anything Boeing can produce. Ergo, they will get sales Boeing can’t compete with, which means they don’t have to discount nearly as much. Long term the A321 pays big dividends. Coup for Airbus. Now to give it a new wing and ……. Boeing should do a 767-200neo or a 737-9max intercontinental to compete with the a321 neolr. The is an element of mockery in ab statement viz:“[The A321neoLR] will be a very unique aircraft when compared with the [Boeing] 737-9, which has no development legs left in it.” Boeing should not take this insult laying down. “Boeing should do a 767-200neo” epic fail because there is already the A330NEO. You should remember that the 787 was Boeing’s answer to the A330. I guess the 3.5 t higher MTOW for A321neoLR is just to insert the additional fuel tanks without changing anything else compared to the standard A321neo like max payload etc. How should a “737-9max intercontinental” work? Trade even more pax for range then a 737 MAX 9? The A321neoLR seems to be just paperwork. The fuel tanks are already available for the A320 Businesses Jets and the higher MTOW could be within the technical limits. The whole story sounds like a 757-200W operator was seeking a solution to replace this type of aircraft and Airbus did offer the A321neoLR as a possible solution. a “737-9max intercontinental” works like this: reduce seating capacity to 165, redesign wings and increase span to 38.05 m , increase MTOW to 90+ (currently 88t for the max-9), add third auxiliary tank. EIS 2019 Voila! you have a great competitor to the neoLR. You are in it for the entertainment value, aren’t you? Could you give some examples where “Boeing did all the hard work” for Airbus to harvest, please. IMU in all its history Airbus has inexorably added innovative aspects to its products creating well planned designs with good to high potential for leveraging future developement. That was afaics never compromised by shortsighted “simple” gains. Maybe with one exception : the A350-1000 brushup that lost some efficiency to an earlier meet up with the 777-300ER. What I am saying is that all airbus planes are aimed at a Boeing model. The a320 family was aimed at the 737 , the a330 was aimed at 767 ; the a340 and a380 aimed at replacing the venerable 747, and Boeing did all the research to find that there was a market need for a plane of the size of the 747.
the a350-800 was aimed at the 777-200ER but failed because airbus did not bother doing market research to see if there was still a need for such aircraft. Ab strategy is wait until boeing comes up with an idea, then aim at whatever they come up with. the a350-900 is aimed at the WorldLiner 777-200LR, the a350-1000 aimed at the Almighty 777-300ER. Ab says on its website the a350-1000 will be 25% better than the aircraft its replacing, the question is which aibus aircraft the a350-1000 is replacing?? Somebody give an answer please. Now this a320lr is aimed at replacing the ever reliable 757-200. Here again boeing did the hard work to establish the need of a ac with the 757 characteristics. When I look at Boeing line up the 737 is a step up from 727. The 767 opened different segment not covered by the 757 now it’s replaced by the lean, mean and efficient 787 family. The 777 line started a new chapter in the twin engines history and will now be replaced by the almighty 777X family. the 747 started the era of the super jumbo that revolutionised the way people travelled. Then this NEO concept has come about because airbus feared competition that the C series will bring to the single aisle market, so the cheap and less innovative option is to do a NEO while boeing was thinking about a NSA. I will bet my bottom dollar that Boeing will do the NSA first and airbus will follow after boeing would have done all the pioneering work with models aimed at boeing models. We live in a cruel world indeed. Have a good day gentlemen. But Boeing or any other airframer satisfy demand with a product. They do not invent demand. OK, Boeing tried that with the P2P Dreamliner scheme. One could well argue for another view where Boeing invariably squats on innovation made by others. Let me start with the 747. At that time, there was no over way to reach such range then with a big aircraft. The A380 is about 35 % bigger than the 747-400ER. The 747-8i was aimed at the A380 and failed. The A340 was the first long range aircraft by Airbus and the A330 was the little brother. The 767-400 was aimed at the A330 but failed. The 787 aimed at the A330 and now has to compete against the A330NEO and A350. Due to size the A350-800 aimed at the 787. The A350-900 is the 777-200ER replacement. An A330NEO is today much cheaper than an A350-800 or a 787. A good company should always aim at the needs of their costumers. The A321LR is just the answer to customers needs. Why is the 757 out of production? So why did Boeing the MAX instead of the NSA? The 737 is not the right size any more. The A320 was from start on bigger than any 737 classic. Without the A320 Boeing would still produce classics. 737’s fuselage is to small for standard US citizen and the short landing gear won’t except bigger fans except the engine is integrated into the wing like Gloster Meteor. Therefore Airbus has the advantage to wait. Airbus was first with a wide body twin, the A300 in 1974. It was first with Fly By Wire. Wasn’t Airbus the first to make use of composites for structural parts in an airliner, something Boeing at the time called out against? The fact is Airbus always compare they models to Boeing’s models. The a320 is compared against the 737, whilst Boeing compares the 737 NG against the 737 standard. Boeing compares the 787 to the 767 it replaced while airbus compares its a350 series with the almighty 777 family because there are no previous airbus models to compare the a350 to. Because airbus models come much much later, airbus has better technologies to leverage on. A case in point is the engine technology used on the a350 as compared to the engine technology used on the 777. His argument is that Boeing creates markets and Airbus squats on those. That imho is a “you made me do it” kind of complaint. Not valid beyond small kids. Boeing avoids comparisons with Airbus aircraft whenever Boeing’s aircraft look worse. So the 787 looks better then comparing it to the A330 or now A330NEO. What about the A330 and the A340 series? Why should Airbus not compare the A350 to Boeing aircraft? Isn’t the 787 much younger than the A330? Yes wide body twin for which market segment? Because it was a wide body twin does not mean it could serve all market segments. MHalblaub, you simply confirming my point by saying that the a380 is better than the 747-400. The 747-400 came first, set the standard and airbus learned from it and then decades later come up with a better product because boeing was fast asleep. The same thing applies with the 757, it came first , set the standard, airbus learned from it now decades later it comes up with a better airplane. 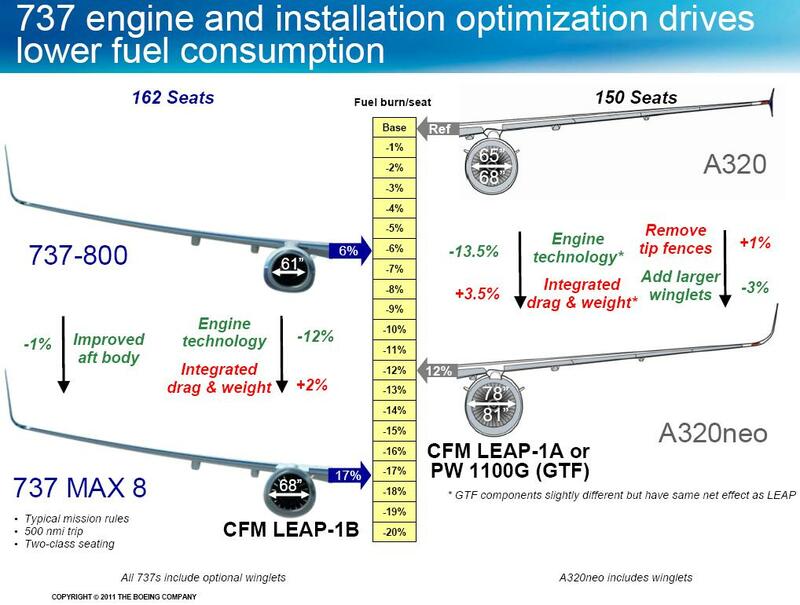 About the a350 family, airbus never said it was replacing any version of the failed a340, if a350 was aimed at the a340 family it was going to have 4 engines. The 787 series is a replacement is still a replacement of the 767, the a330 neo exists only because the a350-800 failed. The point still remains, boeing comes first, sets the standard airbus follows years and years later leveraging on the advancement of technology and then boasts. This theory will be proven again when boeing does the NSA first, watch this space. My point is the A380 is far more aircraft than the 747-400. The MTOW ratio of an A380 to a 747-400 is equivalent to a 747-400 to a DC-10. The A380 is not a better product than the 747-400 it is a different product. The A340-600 is the 747-400 equivalent. Boeing has no aircraft in the A380 category. Airbus did learn nothing from the 757. Airbus did and does improve the A320 and the A321LR finally reaches 757’s range. According to range and seat count the A350 family is the replacement for the A340 series. Engine count doesn’t matter. The A350-800 didn’t failed. The A330-200NEO/A330-800 offers enough range for any current Airbus costumer. Today the A330-800 is far cheaper than the A350-800. We will see the A350-800 again then production costs for A350 are about to equal the A330 costs. Boeing was founded by the son of Wilhelm Böing in 1916. In 1947 Boeing adopted the German swept wing design for the B-47 with engines based on German BMW 003 and Junkers Jumo 004 with axial flow. Two years after 737 maiden flight Airbus was founded in 1969 when the first 747 took off. Maiden flight for the A300 was in 1972, 15 years after the 707. 20 years after the 737 the A320 took to the sky. This could be a reason why Boeing has more need to replace the 737 than Airbus replacing the A320. So Boeing was first because there was no Airbus and sometime in the future Boeing has to move first with the NSA because the 737 is getting to its edge with the size of geared fans. Finally, the standards are set by the airlines. The larger 707 fuselage compared to the 367-80 was a requirement by the airlines. The 737 was a direct order to build by Lufthansa and others. An aircraft size of 747 was a steady wish by Juan Trippe, the founder of Pan Am. After the CX-HLS competition Boeing had the knowhow (competition winner: C-5 Galaxy) . The 777 was adopted by the airlines after they rejected the idea of a 767 trijet by Boeing. What is the official expected range for the 737 MAX 9? 3,600 nm but for how many pax? Just the 180 mentioned for “typical” two class seating with typical Boeing assumptions? 15 pax less are about 2700 lb. Fuel capacity for the MAX 9 is 25,941 l or 20,753 kg or 45,711 lb. Therefor this assumption is quite nice “increase MTOW to 90+ (currently 88t for the max-9)”. I would estimate 95+ t.
“EIS 2019 Voila!” The A321LR could be available in 2016. Higher price due to higher development costs and no LD3-45 containers. Finally did you noticed that your “737-9max intercontinental” design can’t use the small 737 or A320 gates? The next thing is to sit 8 hours on an 18 inch width seat or on an 17.2 inch. The difference is 2.4 inch (3 x 0.8) for the person on the center seat. It sounds almost like a straight passenger for fuel swap. So the plane taking off won’t be substantially heavier than a standard A321NEO with a typical 180-200 passengers. Compared with the 757, the standard A321NEO will take a high density configuration a slightly shorter distance, while this modified version will take a spacious configuration the same distance. The A321 misses out on carrying high density configurations the longest distance. But the much lower trip costs of the A321NEO mean the per-seat cost in a spacious configuration is still lower than the 757 in a dense configuration. A clever tactical move from Airbus. But is that LR market large enough and do have airlines enough routes to fully utilize a A321-LR subfleet? It’s certainly a complex calculation if those LRs routes are profitable enough to offset the higher CASM for misusing the LR on shorter routes. On flights that do not require the long range, this aircraft will be able to take an extra 3500kg in cargo pallets. Cargo capability is very relevant for e.g. a carriers flying A321 into cargo hub Ghuangzhou from large cities like Kunming, Lincang and Chongqing (28 mill inhabitants), 4 times a day. It’s the same size subfleet as the current 757 subfleet – excepting those 757s retained entirely for runway performance. 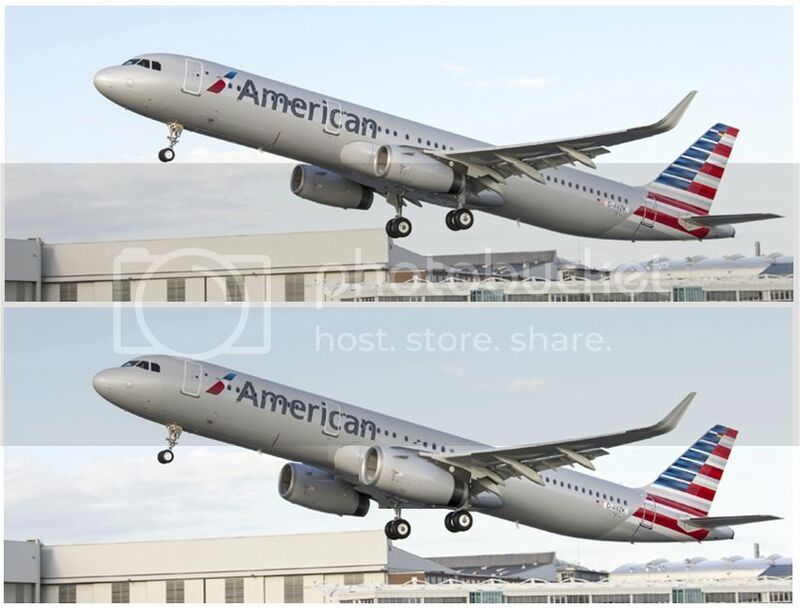 The difference with the standard A321 NEO is minimal, and obviously much smaller than having both A321s and 757s. I don’t suppose they will sell too many LRs but it’s the plane you have to have if you would otherwise fly a 757. This will get the A320 family into a number of airlines that would otherwise go all 737. There are relatively few journeys where a plane that must go 3500 miles but 3900 miles is enough. Transatlantic (just) is the main reason, but also Australia to South East Asia, opening up flights from Brisbane; flights from Cape Town to other parts of Africa; European Russia to the Far East and so on. All those folk calling for a new 757 replacement from Boeing seem to think it is a worthwhile market. I’d have thought airlines like AA have enough varied routes to justify a reasonable size of this fleet, and I can’t see how Boeing can respond with the 737 – the -8 Max doesn’t have the capacity, and if the -9 Max already requires a lot of runway to get off the ground, what is a heavier version going to take? Especially if the engine thrust can’t b significantly uprated? IIRC it is limited to 28Klb versus the 35Klb for this version of the A321. With 169 seats the gap to the 787-8 (290-330 seats) is quite large. This is a good candidate to replace the 757 on longer routes. But thats still a niche. The standard A321 neo should be able to run rings around the LR in terms of CASM on non-LR routes. I think in a united airlines configuration the A321 should have around 180 seats (=+6,5% capacity vs the LR). The A321 LR will be a niche plane if the 1000 757s were so 20-30 years ago. And then there was 762, A300/A310, another 1000.. Since then the market tripled. Fish-eye lenses tend to bulge the centre, no? So Boeing builds a 150t MTOW airplane. Better CASM than the A321LR, lighter than the 787. There’s a lot of room between 97t and 228t that is useful for all sorts of payload-range combinations. Agree. But a 1:1 737 replacement is more urgent / a far bigger market..
Airbus always had the inherent advantage with the A320 for optimizing the heaviest version, due to the long gear and the large fan. Boeing always had the inherent advantage with the 737 for optimizing the lightest version with the short gear and the lighter fuselage. Will Boeing use the advantage and build an optimal 36m long version? “a true one for one”, “underwinged” etc? Airbus took this ball and ran with it. It is what it is now. Also, the market for a 3900nm ranged A321neoLR could be many times bigger than just replacing the 752s at AA, UA and DL. The market being existant and/or bigger than expected could solve the 757 usage question : IS TATL a sensible use case for a 757 size/capabilities airplane or just due to having the paid for frames and “misusing” them due to the original use case having been usurped by other cheaper to use types. The following remark by makes me think. How easy/expensive would it be to switch from auxiliary tanks to normal LD3-46? 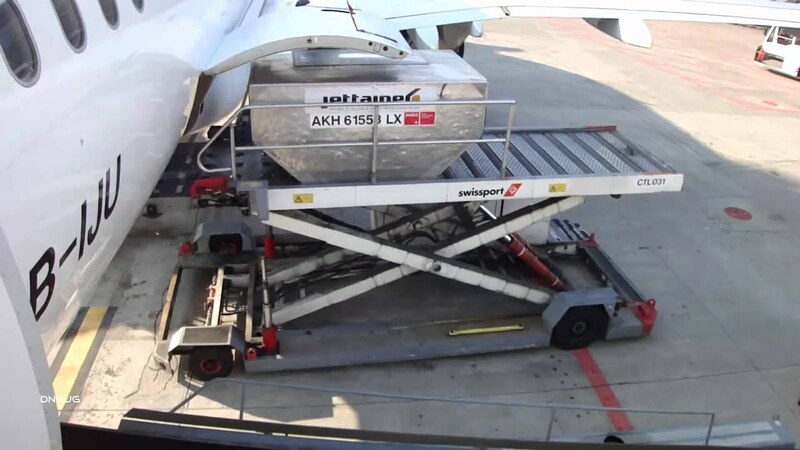 For normal business jets like ACJ320 or BBJ 3 the auxiliary tanks would never be touched. On the other side an airline may change its route system and several A321LR offer now to much range and also less belly space. For me “neo” is redundant for labeling the A321LR because there will be no CEO with the long range option. Now, combine this with MAXing those hypothetical 757 newbuilds, you replace “low cost” by “reasonable” and we have a GO ! Boeing will not let an A321LR foul their traditional flowerbeds undisturbed!? Well, if the A321neoLR will have about 27 percent lower trip costs and 24% lower per seat costs than the 757; or about 25 percent less costly to operate — accoeding to Airbus — then a hypothetical resurrected 757-200MAX would IMJ still trail the A321 by a high single-digit deficiency in trip cost. However, a 752MAX would have an additional 500nm Maximum range over that of the A321neoLR. I doubt that the market is big enough to justify a MAX’ing of the 757. The A321LR is just an extension of the same neo program. That’s why a resurrection of the 757 production infrastructure and MAX’ing at the same time is not a trivial undertaking. Since the 757 production cost was significantly higher than that of the 737, and the likelihood of a significantly higher operational cost over that of the A321neoLR, a 757-200MAX seems to be a nonstarter. However, a stretched “757-250” version and a 757-300MAX could IMJ be viable. A July 2011 report, titled “Comparing 757 Replacements” and issued by Air Insight (a joint venture by three firms including Leeham), concluded that the A321neo “can operate many trans-Atlantic routes, while the 737-900ER and A321 (current version) cannot (do so) year round.” The report said both newer planes have a lower operating cost than the 757, excluding the cost of acquisition. At the time that Boeing ceased production of the 757 in 2004, Hamilton said the 737 production line in Renton, Wash., was “far more automated and efficient than the 757 line” and Boeing had started to produce the 737-900. “The 757 was really kind of hand-produced, as opposed to lean production, and the cost to produce it was far greater than the cost to produce the 737,” he said. Also, air travel had been curtailed following the Sept. 11 terrorist attacks, and winglets were not yet being added to 757s to reduce drag and increase range. what would effective range be allowing for headwinds? What city pairs would this allow (e.g. Paris to Charlotte, 3627NM)? This may be different seasonal Vs year round. Well , the 100nm extra range of the A321neoLR over the 757-200W might prevent unexpected stops in Canada and elsewhere on current 757 TATL routes. Anything more than 3400nm, or so, will not be non-stop. “Headwinds returning from Europe are more extreme than we have seen in 10 years,” said a United spokeswoman. For the past decade, December headwinds averaged 30 knots, according to United data. But last month, the winds averaged 47 knots, and, on the worst 15 days of the month, 60 knots. The winds didn’t abate this month. In the first eight days of January, United said it made unplanned refueling stops on 14 flights on the six routes most prone to refueling, including four on the Stuttgart-Newark run, four on Paris-Washington Dulles and two each on Stockholm-Newark and Barcelona-Newark. Those routes tend to be nearly as long as the plane’s maximum range. Where does this leave the A320? With all the improvement in capability of the MAX and Neo, the market begins at the 737-8. The A320 is now only good as a niche aircraft. The only potential I can see is for a two class 150 seater, otherwise, just buy the A321 for future value. A niche aircraft with 2500 sales versus your best of breed champion with 2000 sales. the A320 will go pax + bags and freight. I was talking about total production of A321neo to A320neo, probably 3 to 1, just like this generation A320 to A319. I’m sure Airbus will stay a few units ahead in production. Getting an edge of 20 units per month, like 70 to 50 is a long way off, if ever. If you’ bothered to check the link in my response below you’d have seen that Airbus has amassed 2494 firm orders for the A320 and 729 firm orders for the A321. So, do you expect the A321neo will be garnering more than 8000 orders by the time the A32X programme is succeeded by a next generation single aisle aircraft from Airbus? As for Airbus staying ahead in production; yes I do expect Airbus to substantially raise single aisle production levels once they’re through with flight testing the A320neo; 50 per month by 2018 and 70 per month some time after 2020. I’m not sure, though, if Boeing can sustain 737MAX production rates of 50 per month for very long with only one competitive single aisle product offering (i.e. 737-8MAX). Probably a few conversions, so over 10 years, 4500 A321n, 1500 A320n, and 100 A319n. 4500 A321n, 1500 A320n, and 100 A319n. 50 A319, 2500 A320, 790 A321. everyone expects up-conversions from customers. A321 presenting the majority of deliveries is imho not on the horizon yet. Airbus is currently producing 14-15 A321s per month. That’s set to double**. So, it’s true that if the total A32Xneo production rate remains static, then the A321neo/A320neo ratio would be close to 5:2. IMJ that ‘s not going to be a very likely scenario. If Airbus maintains the current neo average order intake of 2.31 aircraft per day, they would amass more than 8400 additional orders over the next 10 years; 4000 of which could very well be A321neos. Airbus has said on several occasions it plans a 50/50 production between the 321 and the 320. The problem is that the market doesn’t agree with you — a not insignificant fact. The problem for Boeing, though, is that they seem to be stuck between a rock and a hard place. The 7378MAX is looking more and more like a one trick pony. With higher MTOW of 97t and 35k engines available, a stretched A322 trading range for capacity will be on the agenda as a replacement for current A321s in e.g. Europe and China. Offering the same MTOW, 240-250 seats single class in realistic cabin configurations, up to 3000NMs like todays A321s. Yes, a 6 or 7 frame stretch of the A321 (i.e. A323)* should work out just fine. The rotation speed would be the same as for the A321neoLR, but it would have a slight decrease in rotation angle until the ground is cleared for the rear fuselage, which is manageable. Boeing needs a 48 metre 737-10! Could the A321neo with 35K engines lift 192 seats out of Midway airport? Maybe it has a future with Southwest Airlines who need short take-off capability more than the three majors. a lot of 757 airlines? You don’t mean AA, UA, DL or the leisure airlines I guess. Airbus could solve a lot of A321NEOLR problems by following the MD-80 stretch of the DC-9. They inserted a wing center section between two standard wings. It increases wing area and fuel capacity, job done! This would be an ideal aircraft for the airlines of subcontinent for operations to and from Europe, particularly to UK and Scandinavian Countries. These routes are currently being served through hub airports in Middle East. At present native airlines are unable to fill widebody aircraft on daily basis for these destinations. It would be a good replacement of A310s.